"Finally! A bullet-proof way to install FTTH (Fiber to the Home), buried cables, conduits, and small pipes without digging-up roads, driveways and footpaths... 100% GUARANTEED!" Get rid of the reinstatement cost & keep the profit in-house! All NO DIG Moles features the convenience of a quarter turn forward and reverse control. Operators can quickly change direction by simply rotating the air supply hose quarter of a turn to reverse the tool with full air supply. 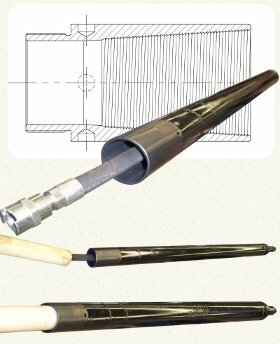 The hammer head provides the NO DIG Moles rapid penetration and accurate direction even in the toughest soil conditions. NO DIG Mole utilizes a bare minimum of moving parts which ensures greater durability and reliability. Above is an exploded view of a NO DIG Mole. Fewer moving parts ensures the mole last very long and it makes it easier to service on site. See the FAQ for an answer to your questions about the NO DIG Mole. No traffic disruptions or road closures. 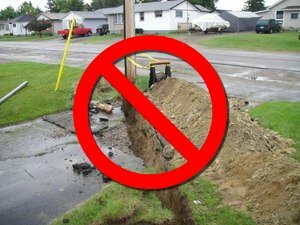 Going Trenchless with a NO DIG Mole will eliminate the cost and the hassle of traffic management along with the complaints that go with it. Traffic management can be a very costly exercise, and can involve many resources, as nearly every road closure (in Australia) needs to follow Australian Standards and must be passed by local Shire regulations. No high reinstatement cost ANYMORE! Reinstatement can be one of the most costly items on any trenching job. Therefore going Trenchless really makes sense. 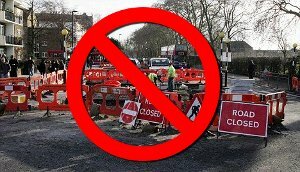 Repair of road pavements, footpaths and concrete driveways are time consuming and costly. 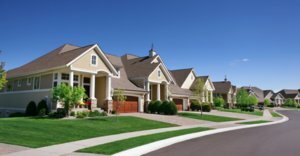 Things like pattern concrete and red asphalt driveways can be very difficult to match and sometimes requires removal of very large section in order to get the repair to blend. "They are among the first people in NSW to be hooked up to the NBN (National Broadband Network). 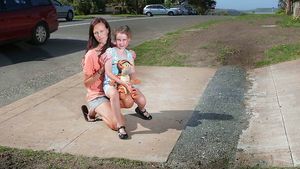 After two months surrounded by machinery digging the trench for the super-speed cable, the residents of Charles Ave at Minnamurra near Kiama have been left with a giant scar through nature strips and driveways." Keeps the Residents Happy - Residents can cause you immense headaches. If they are not happy with the work done or the quality of reinstatement that has been carried out, they will complain and in some cases LOUDLY. The NODIGMole will help you installing the NBN FTTH (Fiber-to-the-Home) in a professional manner. If extremely unhappy they can get the Shire involved and even the media. You don't need or want that type of exposure. Using a NO DIG Mole to drill under the prized Rose Bushes or the Pattern concrete driveway will save you grief and money right from the start. "We love our gardens and we don't want them destroyed just for one little cable. The FTTH is good but please keep my garden INTACT"
Success Guaranteed or your money back. NO DIG Mole is manufactured from the highest quality materials and to the most stringent technical specifications. We are so confident in our equipment that we provide a full 12 month warranty on the tool and its internal workings. 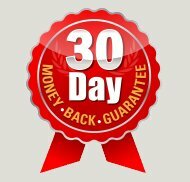 If you are not satisfy with the package you bought online from us, we will give you a 30 Day Money Back Guarantee. For more details, see our Terms & Shipping conditions. There is a full "Self-Training" package included with every NO DIG Mole. It includes, Manuals and Operations & Maintenance docs for you and your crew to master the tool and the process wherever you are in the world. Installing pipes the Trenchless-way can saves you considerable cost and time. 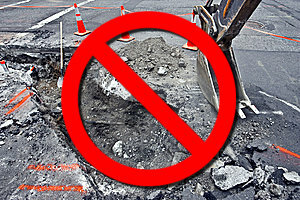 Contractors avoid disturbing pavement, roads and landscaped surfaces which, greatly reduces the need to restore asphalt or concrete once the job is completed. Realize fantastic savings by using the NO DIG Mole to install Telecommunication cables, Fiber Optic (for the NBN), Electric cables, Gas and Water pipes under roads, footpaths and driveways. The SILVER package includes the quality built NO DIG Mole of your choice, along with one extra long 20m heavy duty air hose and one in-line lubricator (1L) ready to hook up to your compressor. The GOLD package includes all tools from the SILVER package + a toolbox which includes the special spanners to service the NO DIG Mole + 1 seal kit + loctite + NO DIG Oil + 1 Magnetic Starting Level + Pipe Coupling and much more... Please click here for more information. We provide an additional pipe coupling for the NO DIG Mole, great for sandy ground condition, which allows you to install the pipe immediately behind the NO DIG Mole and reduces the risk of the hole collapsing. This means most services can be installed in one pass by placing the duct over the air hose and pushing the package in as you drive the tool forward. The pipe coupling is hardened for a maximum wear resistance and longer life. The NO DIG Mole Hardened Pipe Coupling is included in every GOLD Package. 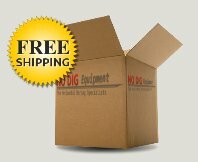 Purchase your NO DIG Mole package online. It's secure, fast and very easy! Need a replacement tool or just another NO DIG Mole? This option is made for you! You definitely know how to use a NO DIG Mole and therefore just need the minimum required to get started. Purchase a SILVER package here. 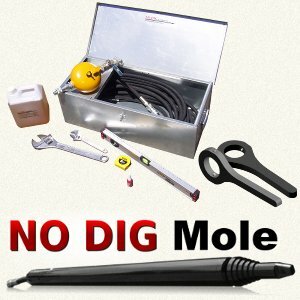 You have never used a NO DIG Mole before and need tools, oil, etc, including the first maintenance kit and toolbox. You definitely need the GOLD package. NO DIG Mole recommend the DENYO DIS Series Air Compressor.